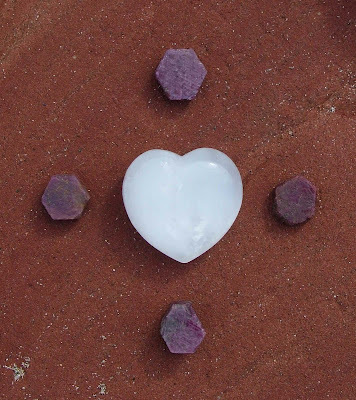 The Pure Earth Set combines a Pure Grace Heart with four rubies. The meditation focus for the next three Monday night meditations, 3rd, 10th and 17th April, through 8pm GMT is on Global Peace using the configuration show below. Hope you can join us from where ever you are based across the globe.